The financial sustainability and social relevance of historic house museums continue to intrigue scholars, preservationists, organizations, and even pundits on National Public Radio (I was recently interviewed by them about this topic) and adding to the conversation are two recent publications by the John Nicholas Brown Center at Brown University and the National Trust for Historic Preservation. 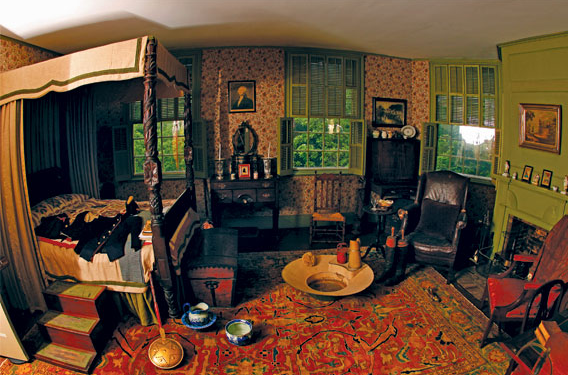 Bedroom at Liberty Hall Museum, Kean University, New Jersey. If historic house museums are historic sites that primarily educational (not commercial) in purpose, how would they be different if they were managed by educational institutions? “University-Affiliated Historic House Museums,” a report by the John Nicholas Brown Center at Brown University may provide some answers. Prepared for the 1772 Foundation by Hillary Brady, Steven Lubar, and Rebecca Soules, the report examines the issues facing historic house museums that are owned or operated by colleges and universities based on a survey of existing practices at ten sites. Offering recommendations for “new ways to make these museums more useful to the university community,” it concludes with a half dozen alternatives for the Liberty Hall Museum at Kean University, which might be applicable to sites that are not affiliated with universities (swap “campus” and “students” with “community” and “residents”). By the way, the Center is hosting an intriguing colloquium in May 2015 on “lost museums“. “Finding Our Compass: Lessons in Planning from National Trust Historic Sites” by Suzanne LaPorte (president of Compass). “The Period of Significance is Now,” an interview with Erin Carlson Mast (President Lincoln’s Cottage, a National Trust Historic Site), Morris Vogel (Lower East Side Tenement Museum, a National Trust Historic Site), and Lisa Lopez (interim director at the Jane Addams Hull-House Museum). These challenges aren’t new. In 1966, the National Trust for Historic Preservation published With Heritage So Rich, a path-breaking report to Congress that recommended “certain practical avenues of approach to the problem of conserving places and objects of value in our individual communities and in the nation as a whole.” The solution wasn’t creating historic house museums, however: “We already have on exhibition more historic houses and museums than we need, or are good for us as a nation. Indeed, they multiply so fast that some form of institutional contraception must soon be invented.” I wonder what the folks at Lower East Side Tenement Museum (opened 1992) and President’s Lincoln’s Cottage (opened 2008) think about this. Did we need them? Are they good for us as a nation? Why is your historic site needed? Is it good for your community? P.S. More recommendations for historic sites are forthcoming. Deborah Ryan and Frank Vagnone are publishing, “Shared Aspirations and Community Identity: How Re-Imagined History Museums can Matter in a Post-Industrial City,” which is currently available as an unpublished proof (although I’m unsure of their evidence for stating that most historic house museums are in decline). This entry was posted in Books and articles, Collections, Community engagement, Governance and management, Historic preservation, Historical interpretation, Interview, Leaders in the field, Opinions, Performance measures, Strategy and tagged 1772 Foundation, Brown University, Cindi Malinick, Erin Carlson Mast, Estevan Rael-Galvez, Hillary Brady, Jane Addams Hull-House Museum, John Nicholas Brown Center, Katherine Malone-France, Liberty Hall Museum, Lisa Lopez, Lower East Side Tenement Museum, Morris Vogel, President Lincoln's Cottage, Rebecca Soules, Stephanie Meeks, Steven Lubar, Suzanne LaPorte, Tom Mayes on August 12, 2014 by Max van Balgooy. The drumbeat about the decline of historic sites certainly creates a reality for donors, towns, cities, and the sites themselves that they cannot survive. 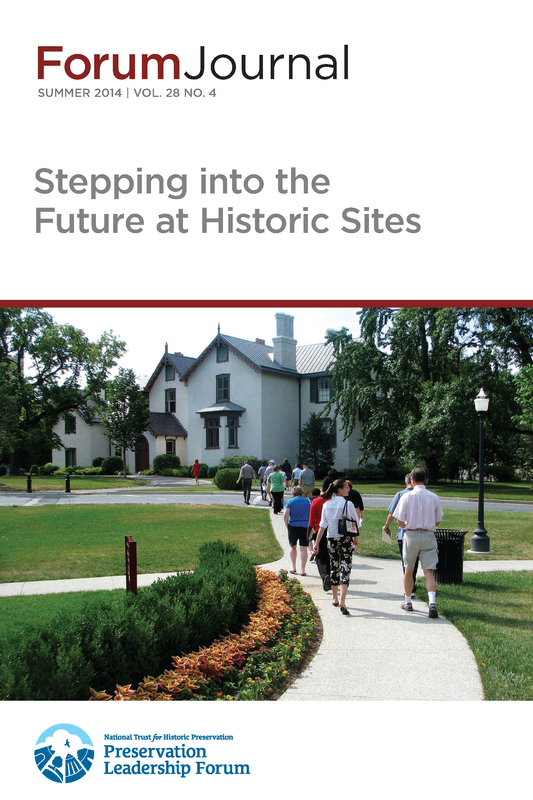 How about showcasing the historic sites – large and small – that continue to thrive and do reach younger audiences? What about the experience and making that relevant? How about the museums that are failing and suffering from poor attendance i.e. the Corcoran. I’m not suggesting that all museums or sites can survive but those that are positioned to do so – geographic location, collections, etc., can. Do we only want “big box” museums in America?